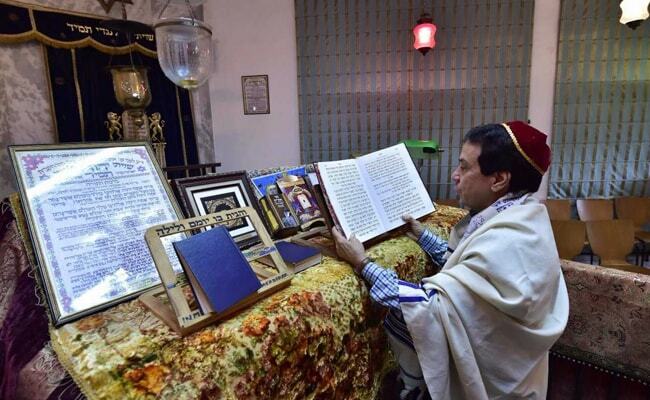 Some 6,000 Indian Jews live in the country, which has been home to the community for the past 2,000 years. Jews are spread across cities in West Bengal, Maharashtra, Kerala and Gujarat, and Delhi. NEW DELHI: India’s small community of Jews is looking forward to Prime Minister Narendra Modi’s visit to Israel — the first ever by an Indian PM — hoping that it will lead to Jews being granted a minority status in India. The Jewish community says while they have never faced any form of discrimination in India because of their religion, a minority status for Jews is among their foremost expectations from the Prime Minister’s visit, which starts on July 4. “We look forward to the PM’s visit and hope that a minority status is conferred upon the community,” says Ezekiel Markel, priest at the Judah Hyam Synagogue in Delhi, the only synagogue in the National Capital. He says that in Maharashtra, Jews have been recognised as a minority, and a similar step should be taken at the central level. Muslims, Christians, Sikhs, Buddhists, Zoroastrians and Jains are currently notified as minority communities. The Jewish community, he adds, has not faced anti-semiticism in India. “For us, India is our motherland. We are Indians first and Jews second. If Israel is in our hearts, India is in our blood,” he says. His views are echoed by Queenie Hallegua, one of the last five Israeli Jews inhabiting the Mattacherry locality in Kochi. Jews who chose to move to Israel did not leave India because of persecution, she stresses. “They were all very happy, they were all well settled. But they desired to live in their own country and die there,” she says. Navras J Aafreedi, an assistant professor at Presidency University in Kolkata, stresses the need for more direct flights between India and Israel. “I want that during this visit both the countries should take initiatives to start more direct flights from India to Israel, so that it becomes easier for us to visit our families and friends there,” says Aafreedi, adding that there are about 26 Jewish families left in Kolkata. Prime Minister Modi’s Israel trip, besides strengthening ties on the defence, agriculture and medical fronts, should lead to enhanced cultural exchanges between the two countries, Jonathan Solomon, chairman of the Indian Jewish Federation in Mumbai, says. “We feel honoured that our Prime Minister should take the trouble of visiting a small country. It speaks volumes about his intentions and of the goodwill that the two nations share,” he adds. The Mumbai-based advocate says that he expects New Delhi to render “all possible help” in preserving the community’s links with Israel. “The next generations should know the rich history that binds Jews in Israel and India,” he says. Mr Markel believes that while Jews are “a microscopic minority community, a drop in the ocean” in India, their contribution to the country’s development in agriculture, cinema, medical science and other fields must be recalled. He also hopes that the visit will lead to increased student exchange programmes to enable the younger generation to “learn about the cultures and teachings in both the countries”. An improved “people to people contact” between the two countries is also what Ian Zachariah, a Kolkata-based retired advertising executive, hopes for. Hallegua of Mattacherry says that her relatives in Israel have told her that over 4,000 people of Indian origin are expected to attend the PM’s meeting with Indian Jews there. “That is something wonderful. They have made arrangements from every state. Names and phone numbers of people from every state have been given so that those who wish to attend the meeting can be transported to the venue,” she says.